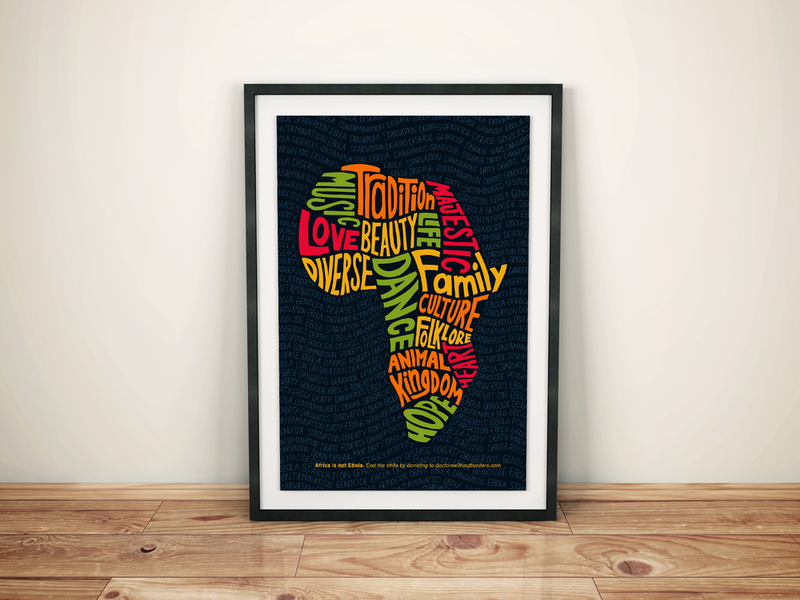 Africa is not Ebola is a poster I created for an online campaign and traveling show called "Posters Against Ebola," where proceeds are donated to doctors without borders. 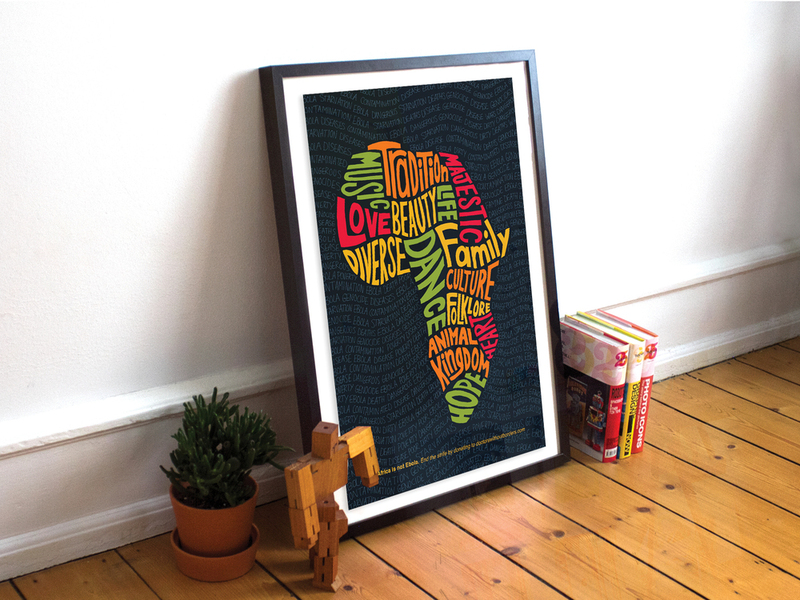 Using a hand-done treatment, I created a typographic image of Africa that highlights the positive aspects of this country. I used bright colors for the type to create a bold image that mimics the bold message. I also wanted to cover the whole page up with type, so even the water around the country is made up of the negative words associated with Africa, so if you look closely you can see words like "Ebola" and "Disease" swimming around the country.